Electrical equipments used in, around or nearby atmosphere in the presence of flammable gases, liquids, combustible dust or any ignitable fibers chances of fire or explosion are quite high. Areas with such explosion prone atmosphere are referred as hazardous (or classified) location/area. Hazardous areas are classified under two systems; the class/division and zone system. The class/division is used in US & Canada while zone system is used by other countries. It is classified into Class, Division, and Group. Division: It defines the possibility of explosive or ignitable mixture causing an explosion or fire. Explosion occurrence highly depends on the quantity and nature of flammable materials. Group: It defines the type of hazardous materials is present in the atmosphere. Groups A, B, C, and D are for gases (Class I) while group E, F, G are for dusts and flying (class II or III). Group C: Atmosphere with flammable gas, liquid-produced vapor or combustible liquid produced vapor whose MESG is greater than 0.45mm but less than or equal to 075mm, when combined with air can cause fire or explosion. Examples of gases are ethylene, acetaldehyde etc. Group D: Atmosphere with flammable liquid-produced vapor or combustible liquid-produced vapor with MESG value greater than or equal to 075mm and minimum MIC ratio greater than 0.80.Example propane, acetone, methane, natural gas etc. Group E: Atmosphere with presence of combustible metal dust like aluminum, magnesium etc. Group F: Atmosphere with presence of carbonaceous combustible dust with more than 8% trapped volatiles. Example, coal, carbon, coke dust etc. Group G: Atmosphere with combustible gases (not present in group E or F). Example flour, starch, wood, chemicals etc. Hazardous locations are classified according to the zone system for gas and dust. Equipment's in a gas atmosphere are further divided into Group and Subgroups. Zone 0 - Flammable gases or vapors present continuously or for a long duration and cause ignition. Zone 1 - Ignitable flammable gases or vapors present under normal operating conditions. Zone 2 - Ignitable flammable gases or vapors not present under normal condition, but can be found for short durations. Zone 20: Atmosphere with presence of combustible dusts, fibers, flyings very often or for long durations. Zone 21: Atmosphere with presence of combustible dusts, fibers, flyings under normal operating conditions. Zone 22: Atmosphere with combustible dusts, fibers, flying have very less chances of being found in normal operations and if present they last for a very short duration. Group I: Equipment's meant for use in mines are susceptible to firedamp. Group II: Electrical equipment's for use in atmosphere with explosive gases other than mines are susceptible to firedamp. This group is further categorized into three subgroups, based on MESG (MAXIMUM EXPERIMENTAL SAFE GAP) for flame-proof enclosures or MIC (minimum ignition current) for intrinsically safe electrical apparatus, see the information below. Group IIA - Atmosphere with presence of flammable material (gases and vapors).Example propane, acetone, petrol, paint solvents etc. Group IIB - Atmospheres with presence of flammable gases and vapors like ethylene, and butadiene etc. Group IIC - Atmosphere with presence of hazardous gases and vapors like hydrogen, acetylene and carbon disulphide. Group III: Atmosphere with presence of explosive dusts, group II equipment's are divided into three subgroups. Group IIIA - Atmosphere with presence of combustible flyings. Group IIIB - Atmosphere with presence of non-conductive dust. Group IIIC - Atmosphere with presence of conductive dust. There are several methods and techniques applied in electrical equipments to reduce and minimize risk of explosion or fire. In general hazardous locations are divided into class/division and the zone system, their protection techniques and methods are explained below. Intrinsically Safe: Intrinsic safety (IS) in electrical equipments for use in hazardous area reduces the available energy and maintains a low temperature. This method prevents sparks and does not allow any fire or explosion. Intrinsically safe equipments have strict requirements and are certified for different intrinsic safety levels. Common industries using intrinsically safe equipments are petrochemical, refineries, pharmaceuticals, atmospheres with explosive gases or vapors, pipelines etc. Dust Ignition-proof electrical equipments: This type of safety method allows electrical components to prevent dust entering from outside. Therefore, sparks and heat generated inside the enclosure cannot escape out and does not cause ignition or explosion in the surroundings. Explosion Proof: This type of protection utilizes an enclosure that is able to resist explosive gas or vapor within it and can prevent ignition or explosion caused by gas or vapors near it. Non-Incendive: This type of protection in electrical equipment allows them to withstand ignition caused due to flammable gases or vapors caused by arcs or thermal effect. Intrinsically Safe: This type of protection technique ensures that electrical equipment is incapable of releasing sufficient electrical or thermal energy to cause a fire or explosion in hazardous areas. This protection is referred to as “Ex i”, its further subdivisions are ia for Zone 0,ib for Zone 1 and ic for Zone 2. Flameproof: This type of protection ensures that the electrical equipment’s enclosure is able to withstand the pressure developed during an internal explosion of an explosive mixture. It further prevents transmission of the explosion surrounding the enclosure and operates at such a temperature that explosive gas or vapors will not be ignited. This type of protection is referred as “Ex d”. Pressurization or purging method: This type of protection ensures that electrical equipment is able to prevent the entrance of an explosive atmosphere into the enclosure. A protective gas contained inside the electrical equipment enclosure with pressure greater than the one of the external atmosphere. This protection is referred to as”Ex p” and further subdivisions are px or py for Zone 1 and pz for Zone 2. Increased Safety: Electrical equipment with this type of protection do not produce arcs or sparks under normal operations. 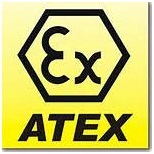 Increased safety can be used with flame-proof type of protection and is referred to as “Ex e”. Protection type “t”: Electrical equipment with this type protection technique are equipped with an enclosure providing dust ingress protection and limits surface temperature. This type of protection is referred to “Ex t”. 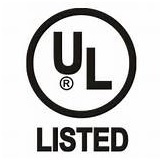 North America For North America hazardous locations, equipment certification are performed by nationally recognized laboratories UL, MET, FM and CSA. In addition, the American National Standard Institute coordinates US standard to be used internationally and allow equipment to be used globally. International This standard addresses “Hazardous Locations”, “Hazardous Area”, and “Explosive Atmosphere”. Places where flammable liquids, vapors, gases or combustible dusts along with sufficient quantities to cause fire or explosion. Intrinsic safety barrier provides protection to devices used or mounted in hazardous areas. 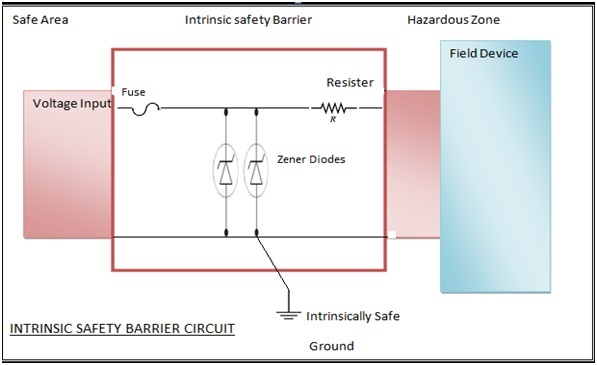 A basic intrinsic safety barrier comprise of a fuse, zener diodes, and a resistor; refer to the diagrammatic representation below to understand the electrical circuit. The three components resistor, zener diodes and fuse are able to limit current and voltage. zener diodes are able to lower voltage to a value referred as open circuit voltage. The fuse then blows when the diode conducts. This process interrupts the circuits and prevents diodes from burning and allowing excess voltage to reach the hazardous locations. Two zener diodes placed parallel in each intrinsically safe barriers, at least two diodes should be used in case one fails the other one is able to complete the protection. Safety analysis of intrinsically safe circuit should be performed at all times. Comparing entity values of the intrinsically safe apparatus against associating apparatus, parameters can be found on the product or can be verified with the manufacturer. High surface temperature is the main cause of ignition therefore, the maximum temperature of any component on a circuit board under faulty conditions must be considered. The temperature of a component related to the power input can be obtained from thermal data sheets. For simple temperature assessment, EN 50030:1994 states that small components from 20mm2 to 10mm2 are capable of maximum power of 1.3W with maximum temperature 200°. Components less than 20mm2 have maximum temperature rating of 275°C.